An Israeli airstrike on a media compound has injured at least six journalists, Palestinian medical authorities say. Among the outlets damaged are local, Italian, German, Lebanese and Kuwaiti channels. RT’s office in Gaza was affected too. The journalists received minor to moderate injuries, Health Ministry spokesman Ashraf al-Qudra said. One journalist had his leg amputated following the attack, he added. Two buildings of a media center in Gaza City were targeted by Israeli warplanes early on Sunday in a series of strikes. Witnesses reported that the journalists had evacuated after an initial attack, which was followed by at least two more hits. The buildings were heavily damaged. Some of the victims are employees of Palestinian Ma’an news agency , while the man who lost his leg is a cameraman with the local al-Quds TV, Ma’an reports. The attack was focused on the 11th floor, where the office of al-Quds TV is located. Iranian Press-TV reported that one of their cameramen was injured. 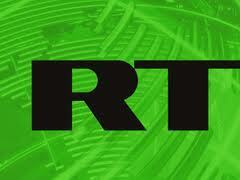 Among the journalists affected was the crew from RT’s Arabic-language sister channel Rusiya Al-Yaum. Fortunately for them, they had left the Shawa building about an hour before the Israeli planes delivered the strike. RT’s office was damaged, so the crew will move to a less-affected floor of the center. Several other media organizations occupying apartment buildings are now being evacuated, filmmaker Harry Fear, who is currently in Gaza, told RT. Among the media outlets the center hosted are Britain’s Sky News, Italian RAI, German ARD, Kuwait-TV and others. The Middle East Foreign Press Association demanded explanation from the IDF over why the media buildings were targeted. It said journalists in areas of conflict are considered civilians and must be respected and protected as such under the international law. An IDF report described the target of the attack as “a communications antenna used by Hamas to carry out terror activity against the State of Israel.” Israel sees al-Quds TV as a Hamas propaganda branch. Later Israeli military told BBC they knew there was foreign media staff at least in one of the buildings they bombed beforehand. However those journalists were not the targets of the attack, they stressed. But Fear doubts the IDF’s statements that it didn’t target journalists. “It [Israel] doesn’t like journalists telling the truth and communicating facts and footage – the evidence of what it does. The most prominent example of that is from May 2010 [Israel attacked a Gaza flotilla], when Israel deliberately destroyed the memory cards of journalists… Israel also jammed communications, including satellite communication and cellular communication… So Israel is simply trying to suppress the truth,” Fear told RT. In separate incidents at least three children have been killed in Gaza overnight including an 18-month-old, Palestinian sources reported on Sunday. The baby was killed in the Bureij refugee camp, spokesman Adham Abu Selmiya told AFP. Earlier on Thursday, BBC Arabic journalist based in Gaza Jihad Misharawi lost his infant son and sister-in-law after shrapnel hit their house. The image of the grieving man went viral on the internet, triggering a wave of condolences and a response from Israeli Prime Minister Benjamin Netanyahu, who posted a picture of a baby reportedly injured by a Hamas rocket with a message saying that the militants are targeting Israeli children. Palestinian medics said 48 Gazans had been killed by early Sunday and more than 450 injured since Israel launched its air campaign on Wednesday. Over the same period, three Israelis have been killed and 18 wounded, including 10 soldiers. The Israeli army says militants have fired more than 600 rockets over the border since the start of the operation. Of them 430 hit and 245 were intercepted by the Iron Dome air defense system Israel deployed. Israeli warplanes had hit more than 950 targets in Gaza. Overnight 180 strikes have been carried out.